Assembled by each couple, these baskets full of their favorite things are truly one-of-a-kind. 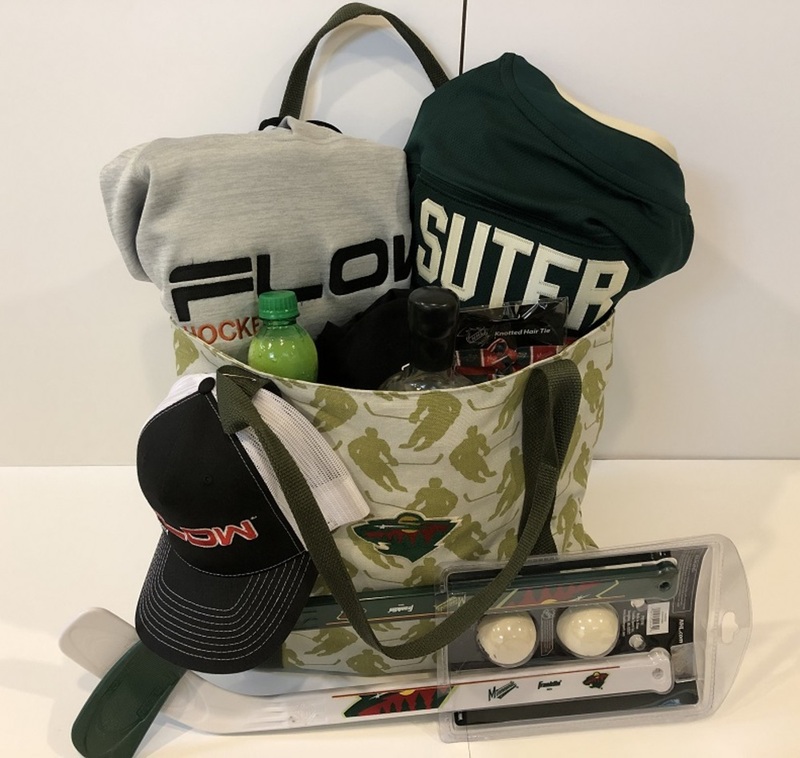 Ryan & Becky's basket includes:a Flow Hockey hat, MN Wild hair ties, a pair of moscow mule mugs, ginger beer and lime jouice, a bottle of Oyo vodka, a Flow Hockey long sleeve t-shirt (size XL), a Wild mini-stick and ball set, a Flow Hockey sweatshirt (size XL), and and autographed green Wild jersey. Proceeds benefit Women's Advocates, a local domestic abuse shelter.